The school was turned red for Red Nose Day on Friday 24th March. 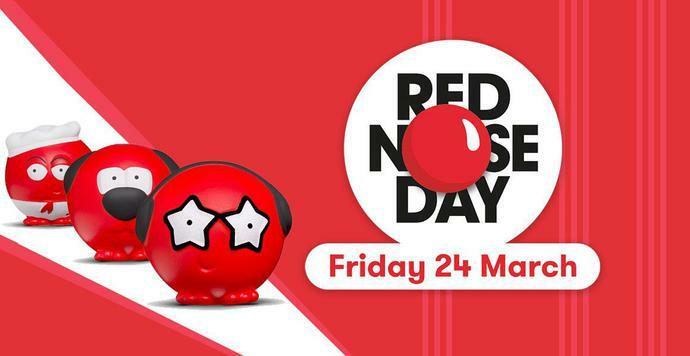 Choosing to wear red clothes, red noses, red faces and red hair for many resulted in donations of almost £150 for Comic Relief. We had a fun filled day, with a range of different activities in each classroom. We would like to thank the children of the School Council for organising a Joke Competition and for reading out the winning entries during assembly. The School Council children also performed their dance routine to the Red Nose Day song 'Put a Nose On It' which was thoroughly enjoyed by the rest of the school during our sharing assembly. Thank you all for your donations and support with turning the school RED!